Without blowing my trumpet I have been fantastic at writing and scheduling blog posts over the last few months, yet recently it's been a different story. I have lost all motivation and inspiration for writing posts. I'm not sure if it's down to working more hours recently or if I've just become lazy, but either way I've been really trying to get my blogging motivation back on track and here I am finally writing a post and I've even got a couple scheduled! 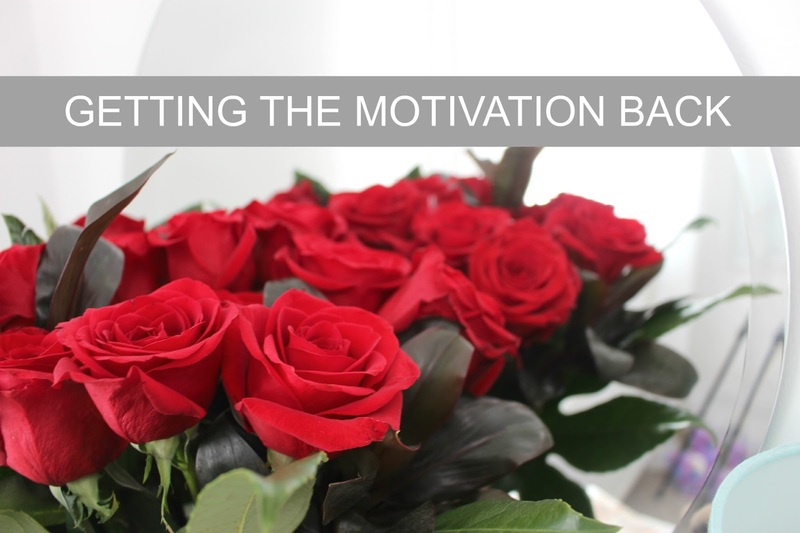 I thought I'd talk about the ways I've got my motivation back, so if you are unmotivated then this could give you a little push in the right direction. It's also a great post for me to have in my archives in case I get in a rut again. Talk to other bloggers is definitely a must for trying to get back into blogging. You can gain some fantastic advice and even some greater ideas. It might be out of your comfort zone to approach others but trust me, bloggers don't bite. This also relates to taking part in blogger chats as you get a lot of response from strangers who have been in the same position as you. Pinterest is my go to place for gaining inspiration. Whether it's an inspirational quote or a scrumptious recipe. Whenever I have writers block I like to head there and scroll though people's boards and see if they can trigger any ideas. Google is the simplest way to try and gain motivation. I had a Google of how to stay motivated with blogging and there are plenty of helpful sites. Brainstorming is the perfect option to try and get good ideas for posts. Even if you can only think of boring unoriginal ideas you should still write them down as it's often possible for them to flow into something you want to write. I'd also like to add that you shouldn't worry about not posting, people don't mind! When I couldn't write anything, I tweeted saying I was really unmotivated and that I didn't care because quality is better than quantity. That tweet actually got a couple of favourites which showed people agreed with me.